Today we have a very unique brew from our friends at Rogue Brewery called Voodoo Doughnut Bacon Maple Porter (Porter brewed with natural flavors). As a vegetarian and lover of all-things doughnut, I’ll even admit that this beer sounds good. Based on the label it looks like Canadian bacon? 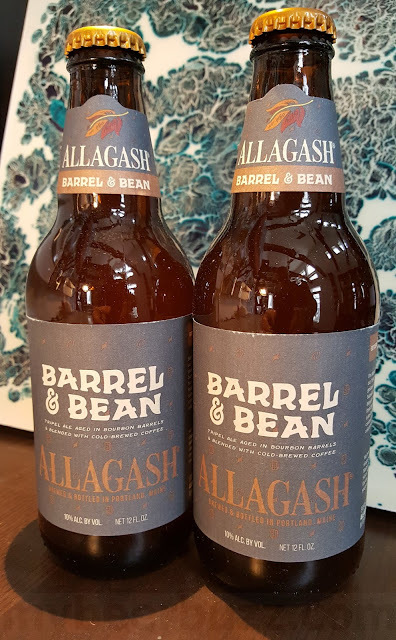 for this 750ml bottled specialty brew…and based on the ingredients we’re talking apple-smoked bacon, vanilla beans, maple syrup & chocolate malts for this 5.6% ABV brew. UPDATE 11/29: Looks like another label approved today replacing the word “Porter” with “Ale".” I doubt this signals a different brew. Not Canadian bacon, the maple leaf is for maple... As in Bacon Maple doughnut.